Monitor helps you manage your fleet of SIMs/Systems deployed on the field. It provides access to all the systems of the company along with their status, provisionning information, usage history, and lifecycle management capabilities. This page is also customizable to present the information that is most important to you. The dashboard is accessible by clicking on the Sierra Wireless logo in the top banner. 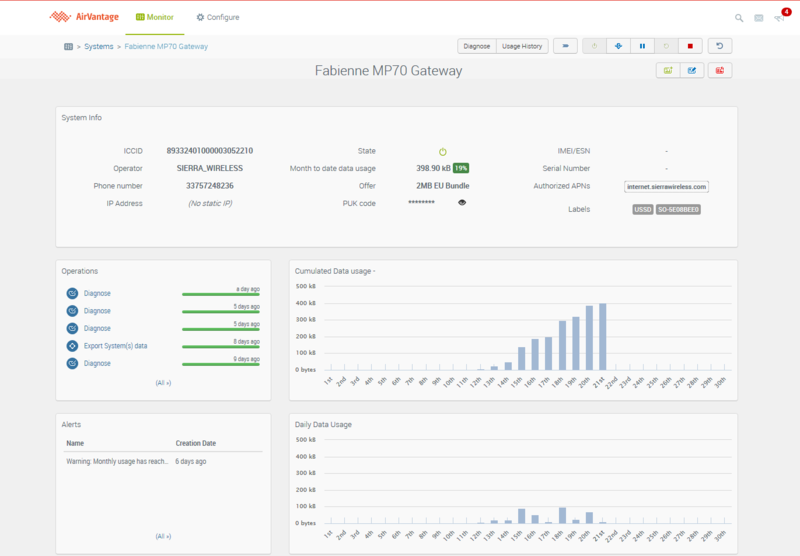 The Dashboard is user configurable so you can get a quick look at the information that is most important. Status distribution, alerts or fleet usage consumption for example. The widgets are interactive so by clicking on a pie chart segment you will be taken directly to a list of corresponding SIMs. See Dashboard section for more information. The Systems section. It provides access to all systems along with their status, provisionning information, usage history, and life cycle management. The Alerts section shows all the systems currently in alert state aside with the alert rule(s) responsible for the system being in alert. The Systems section shows all the Systems in your company along with their state, provisionning and usage information. We call it “Systems” because you can specify the Name, IMEI and Serial Number of the device associated to the SIM, therefore creating and managing a fleet of IoT systems. The state defines whether the subscriptions are activated for usage or not and if the monthly charges are due or not (often used in delivery phase). This is the state in which the SIMs are shipped to the customer. In this state, it is not possible to use the SIMs. Monthly charges are also not due. Test-ready-mode can be used to optimize and simplify testing and deployment processes. Test-ready-mode means that a SIM is allowed to be tested during a defined test period and with a limited volume of traffic, without being charged for the monthly fees. Note that you are still accountable of usage fees while in test ready state. Whichever of the time criteria or traffic threshold is met will automatically result in the system status being changed to Active and normal charges will be applied. To benefit of test ready mode, you simply need to activate the system on a Test-Ready-Mode compatible offer. Upon activation, the system will be displayed in Test Ready state. At the end of the test ready period, the system will automatically switch to Active state, and start being charged based on the offer it has been activated on. The SIM cards are Active from the date of activation. The offer will be selected as part of the activation. While Active, the SIM cards are charged for the monthly subscription fees and are able to generate traffic corresponding to the activated services and options. A SIM card in Suspended state cannot generate any traffic. Depending on your contract, the monthly subscription fee may still be running while Suspended. A “Retired” SIM card cannot be used nor re-activated again. It is blocked for usage, meaning that usage of any bearer service is not possible and will not be possible with this SIM again. Review Details Drill down to the detailed view of one system. Change Label Add or remove labels. Activate Activate one or multiple systems/SIMs on a selected offer to enable traffic. Change Offer Change the offer for one or multiple SIMs. There is no restriction in the target offer, it can be any offer of your contract. Change Provisioning Options Change provisioning options (permitted services and roaming zones) for one or multiple SIMs/Systems. Available options depend on the selected offer. Suspend Suspend one or multiple SIMs/Systems. A suspended SIM will not be able to connect to the network, and therefore will be unable to generate usages. Restore Restore one or multiple SIMs/Systems. The SIM will be able to reconnect to the network and generate usages. Terminate Terminate one or multiple SIMs/Systems. A terminated SIM will not be usable any more. The Terminate action cannot be reverted. Swap SIM Swap out the selected SIM for a replacement. This is to be used for example when a SIM card is stolen or damaged. Only the ICCID will be changed, to that of the new SIM, while keeping all identifiers related to the subscription (MSISDN, Static IP, offer, provisioning options, etc.). The ICCID of the stolen/damaged SIM will be terminated as a consequence of the Swap. Transfer Transfer one or several systems to a partner, for example to a subaccount. The usages consumed within the original company will remain attached to the original company and therefore will not be displayed in the target company. Export Data Export in a .csv file a copy of the information available in AirVantage for multiple systems. Depending on the current state of your system, only the actions that can be triggered in that state will be available. Finding a SIM or group of SIMs of interest is easy using filters. These can be applied for single or multiple variables: filter on state + activation date. Labels gives a powerful way to add flexibility in identifying systems. They can be used for geographic regions, fleet owner, type of device in which the SIM is inserted, or any other identifier that you would like to apply and use as a search term in the future. We also apply a label with the order ID so that you can easily select all SIMs from a specific order. Systems can have an unlimited number of labels. The result of the filtered list is displayed in multiple pages if needed. You can select all the list with the check box displayed at the top left of the list. Or directly used to perform one of the connectivity management operation. Most recent activity and configuration of the system is available from the details screen. This page provides access into the configuration, provisioning, usage consumption trends and detailed records. The details of a given system are accessed from the Systems list view clicking on the Details icon in the actions toolbar after selecting a system or directly in the grid by clicking on the line of the system of choice. 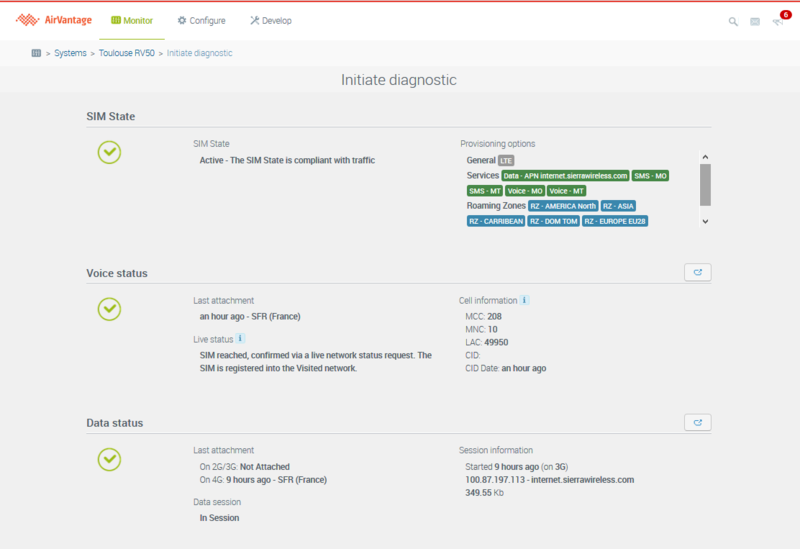 Monitor activity proposes different capabilities to track usage consumption per system and helps you prevent billshock. The percentage of the consumed offer bundle for each SIM with a color coded status. 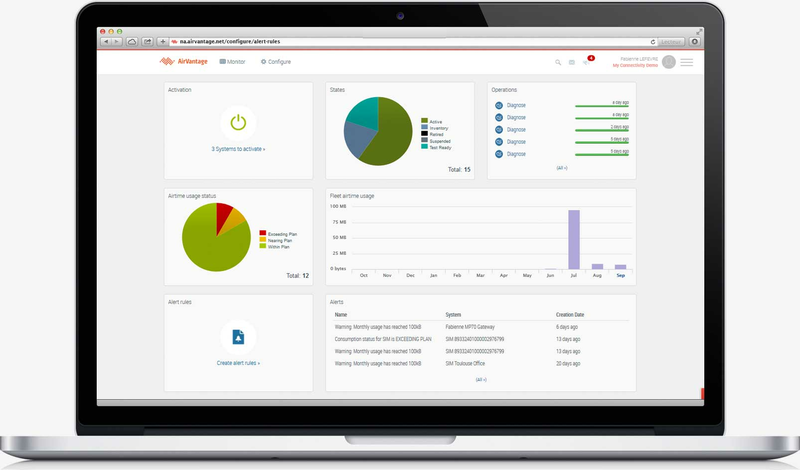 Note that the usage information displayed in AirVantage in billshock related functionalities is the invoiced usage data i.e. taking into account billing increments applied to each data session. Sorting the grid per usage consumption enables you to spot your most consuming devices within the fleet. This widget is especially helpful in identifying systems that may be experiencing an unplanned usage surge. In case you are using a Pay-per-use model, the usage status will be undefined. 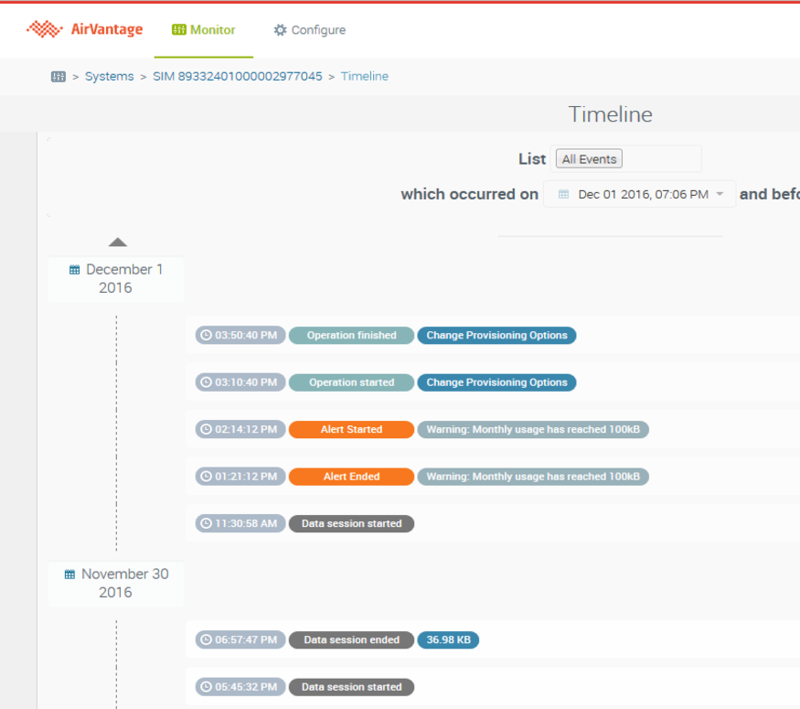 AirVantage alert engine is based on the concept of an alert state on a system: a system can either be in alert or not in alert ‘-’. 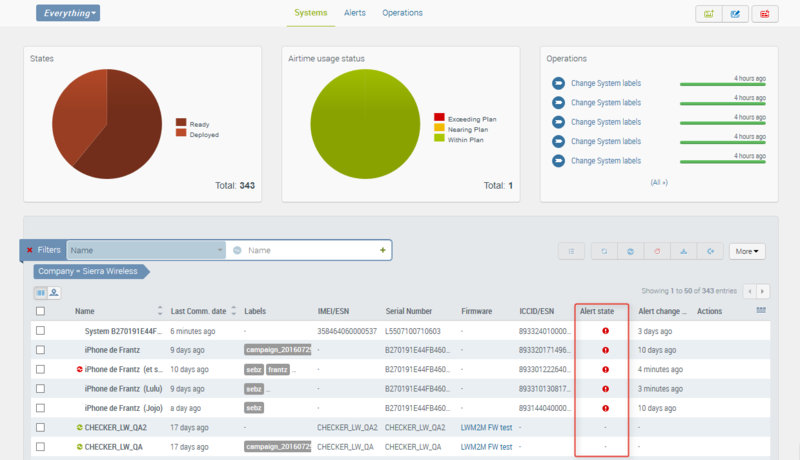 The “alert state” and “alert state change date” columns will give you the alert information for each system of the fleet. The Monitor>Alerts section as well as the alerts shortcut (loudspeaker icon) on the top banner display all the alerts raised at the current time on your fleet, with one different entry per system and per alert rule. 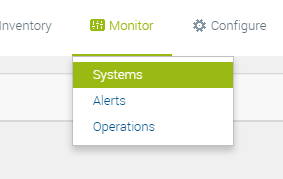 The same way, the alert widget in Monitor>System Details is displaying all alerts raised at the current time on the selected system, with one entry per alert rule. Alert rules are created in the Configure activity. In case you need a sharp analysis on one SIM or facing some issues with your connectivity, AirVantage provides some functionalities for doing a deeper dive and diagnose your wireless connection. 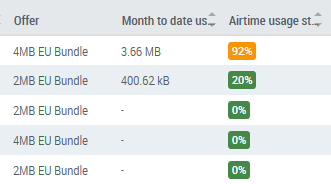 A new widget is available in the Monitor> System details to pinpoint the latest usages consumed on the selected SIM. The widget shows the type of usage along with the date at which the usage occured and the additional information related to the usage (duration, amount of data consumed, peer phone number depending on type of usage, visited network). If a session is still on-going it will be displayed as in progress. To view the full list of usages you need to click on the All>> link at the bottom of the widget, or you can also access it by clicking on the Usage History button in the top banner. 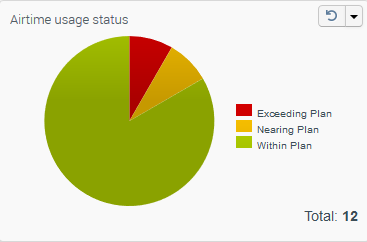 In this view, the usages displayed are the raw usage consumption i.e without the billing increments. The Usage History displays all usages consumed on the selected SIM (display is limited to 100 records at a time). You can drill down to a specific date by using the filters on top. data session are updated every 15 minutes after the start of the session to provide consumption updates (INTERIM UPDATES). 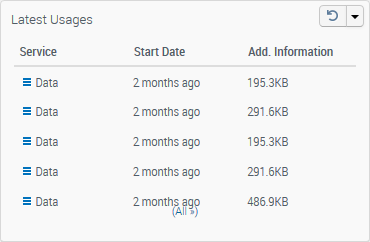 For VOICE, SMS, USSD, usage history is updated every 15 minutes. The filtering mechanism limits display to only the relevant information. You can also browse the timeline. In case you are not able to establish a communication, suspecting something wrong with the connectivity or want more details about real time status of one device, the diagnose capability helps you to understand what is going on and to troubleshoot the service. SIM state: checks whether the state of your SIM is currently in a correct state to perform traffic. Aside of the SIM state, we will also display the options that are active on your SIM to ease the verification. Voice status: checks the attachment status for voice services. This step includes a real-time query of the visited network to confirm or not whether the device reachability for voice service. It takes around a minute. To be noted that both reachability and location information are retreived from the 2G/3G network only. Data status: checks the attachment status for data services and real time session information such as visited network, allocated IP address, APN, the RAT on which the device is attached, and data traffic since beginning of session. Note that Diagnose takes 1 to 2 minutes to complete. The detach can be used if you suspect an issue with the wireless service: for instance, the diagnose displays that a session is on-going, but you are not able to effectively transmit data, or the diagnose shows that your device is reachable but you are not able to send SMS. Clicking on ‘Detach’ in the Voice Status pane trigs a detach procedure from the network side, leading to the device restarting an attach procedure and also a data session establishment from the beginning. To be noted that in most cases the device will register to the same network if this network is available. If you use an ADVANCED SIM you can also use the ‘Detach Data only’ functionality in the Data Status pane. In that case, the SIM will automatically detect the loss of data service and the device will register to another network. How to activate a SIM/System with a custom static IP Address? How to change provisioning options? How to export SIM parameter data? How to launch a bulk activation?